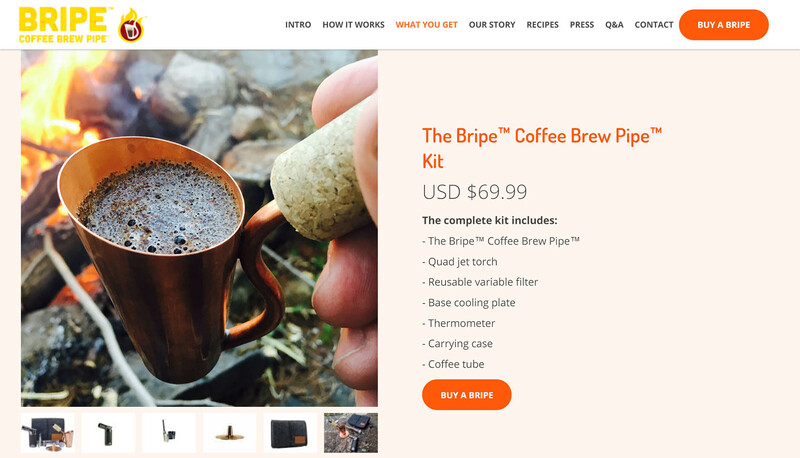 I was hired freelance by Bripe Inc. in July 2017 to aid in the product launch of the Bripe™ - the ultra light ultra portable Coffee Brew Pipe™. 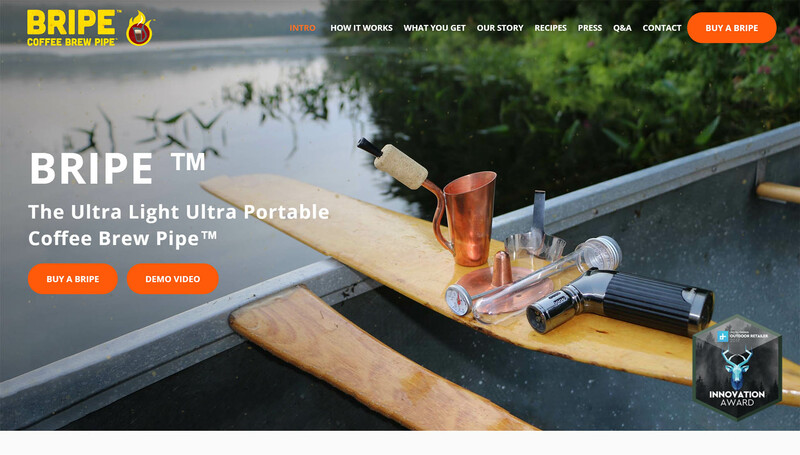 I started by completely redesigning their website to better showcase their product and company message. Over the following months I added content in the form of press coverage, product images and videos. Additionally I maintained the site and made minor adjustments to it. Users are presented with product images and a breakdown of what is included in the kit. 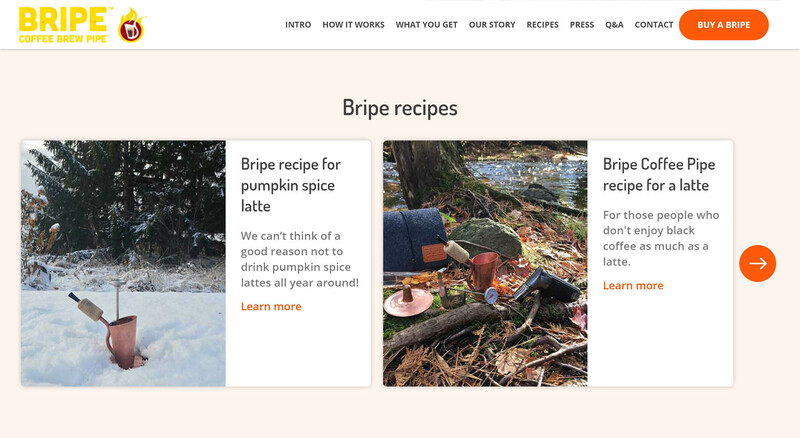 The recipe section is a place where recipes are posted to inspire Bripe users to experiment with it. 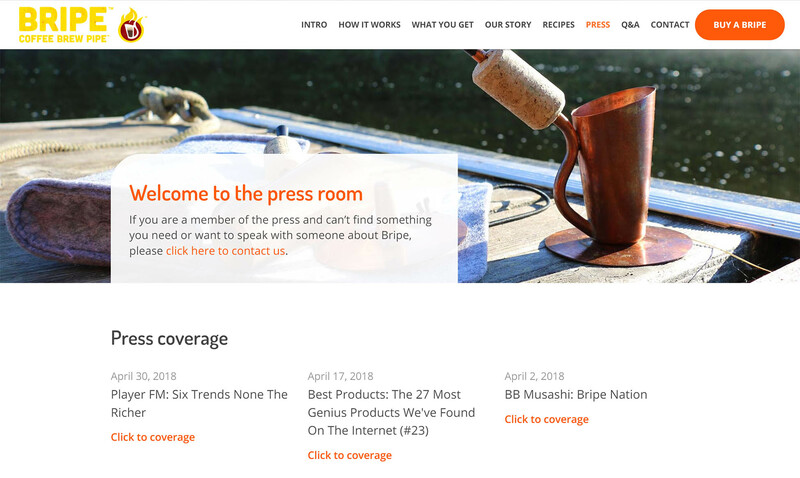 The press section contains links to press coverage, product images and videos for publications to use for their media coverage. The Bripe website is used by hundreds of people every day and saw over 17000 sessions in December 2017. Copyright 2019 Designed and built by Aaron Rudyk.